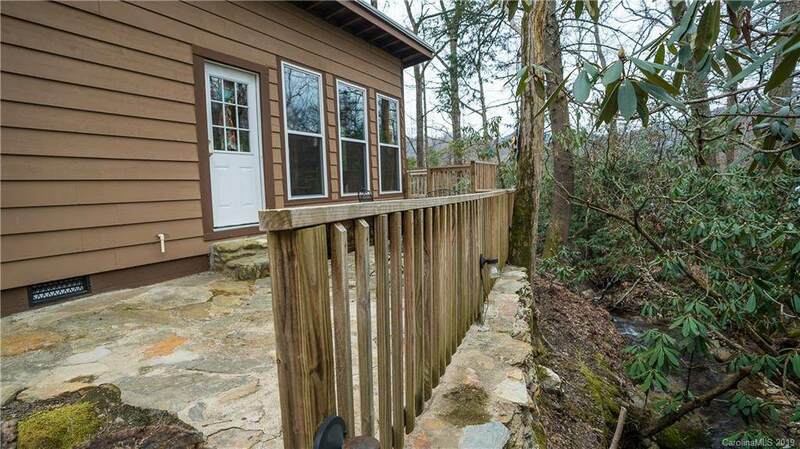 This little cottage on the creek is just what you've been looking for and only minutes from downtown Black Mountain. Fully renovated & cute as a button. 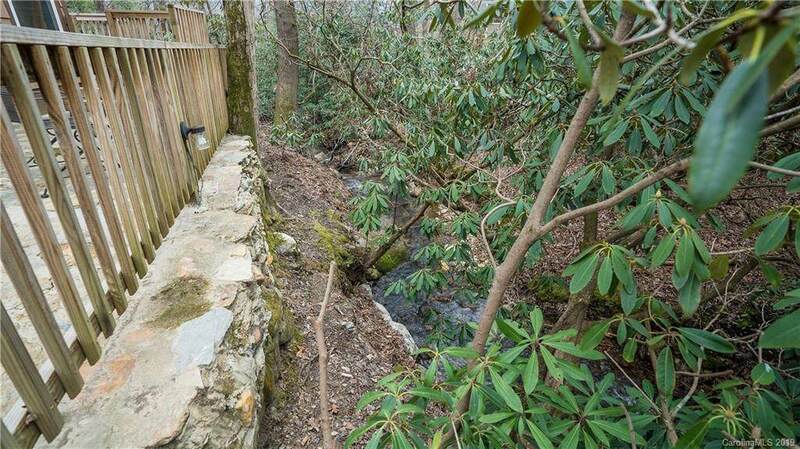 This cottage sits on a large corner lot, partially wooded and partially open with a bold creek that runs the length of the property. 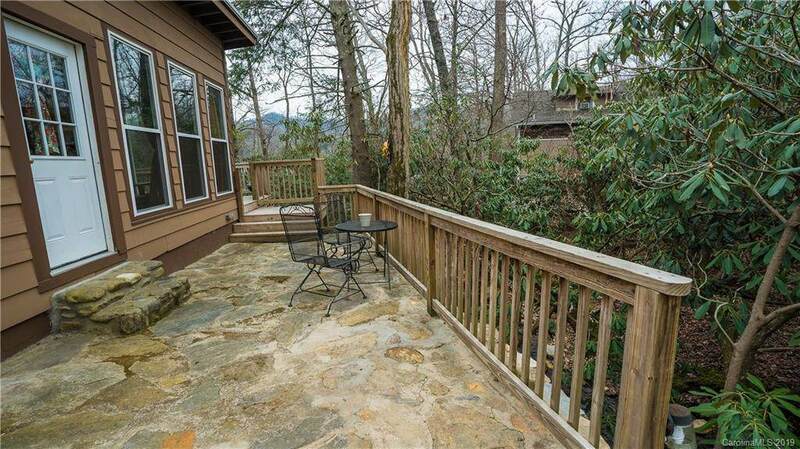 Freshly landscaped you'll enjoy the sounds of the creek while relaxing or entertaining on the wrap around porch. Inside you're drawn to the beautiful hardwood floors which are throughout the entire home. All updated electrical, plumbing ceiling insulation and a mini split for heating and cooling. This home lives larger than you'd think with its open floor plan & vaulted ceiling. The kitchen is a generous size with an awesome farm sink. In the Master closet you'll also find a full size side by side washer and dryer. 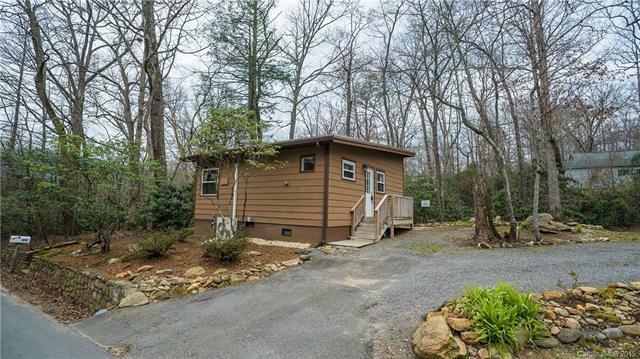 Relax in the Living space and enjoy the gas fire place or open the door and listen to the creek. All one level living with a flat parking area. This home would be perfect for a vacation rental.